How to convert MKV to PS3 on Mac, play MKV on Playstation 3? How to convert MKV to PS3 on Mac? "I know you can watch .mkv files on the VLC Media player, however was hoping to view the file on my PS3 so I can watch it on my home theatre. PS3 doesn't support .mkv playback, so I assume I have to convert it to PS3 MP4 or a similar format. Is there a solution come up with Mac? Thanks." Ok, I'm constantly seeing inquires all over the place where people are asking the same question about if they can play MKV files on their PS3 to be answered by "No". While this is not wrong, it's also not true, you can play MKV files on your PS3 and I will show you how to do this in this guide. What iFunia Video Converter for Mac does is remux an MKV file with x264 video and AC3 audio into a MP4 file which is playable on your Playstation 3. Before you ask...no, this will not result in the loss of quality because the audio or video are not touched. The streams are perfectly converted into the MP4 file. 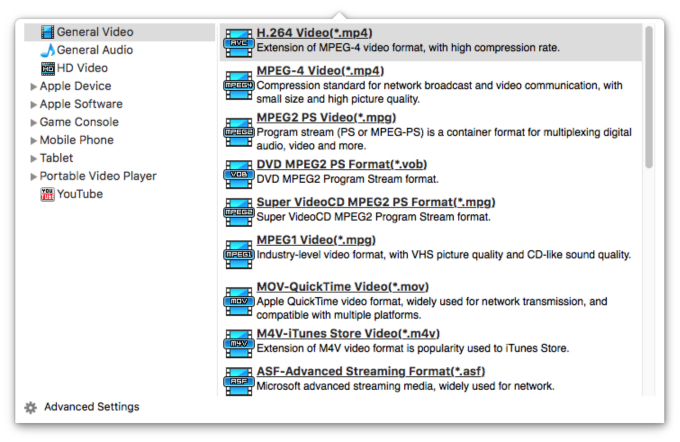 So you've downloaded iFunia Video Converter for Mac now and you are ready to start converting it. Here is easy steps. Now run iFunia Video Converter for Mac. Click the Media Browser icon at the upper right corner of the app to add MKV or HD MKV video files. You can also drag and drop files to the app's interface. You may add as many videos as you want for MKV to PS3 batch conversion. This is optional. But if you want to output 1 MP4 file for easily playing on PS3, simply click on the video titles you'd like to merge , then click 'Merge' button at the bottom of the app and uncheck the former separate files if you just need the single merged video file. You may see the image below to have an idea. Step 2. Set the output format as PS3 MP4 and other settings as you like. Select PS3 MP4 output format for each video file. You can change the output settings as you need. Remember that the output file size mostly depends on the Bitrate you set. Larger Bitrate, larger file size. Actually video with bitrate as 768 is acceptable for watching. Now you may conversion button to begin converting MKV to PS3 video. The convert progress bar shows you how much of the encoding is completed. The encoding time will depend on several variables including: the duration of the video file, the speed of your computer, what other activity your computer is currently doing and the bitrate you set.